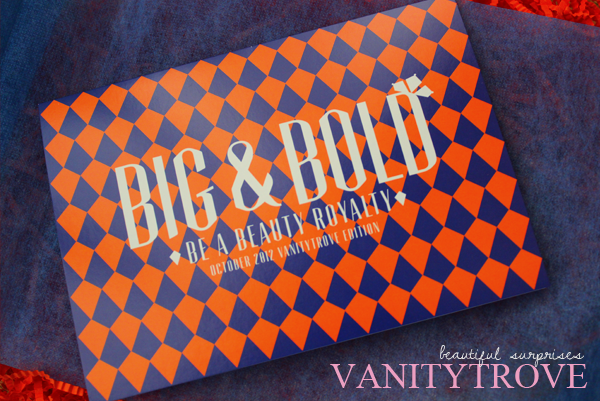 This month's Vanity Trove has the theme Big & Bold and it's all about being a beauty royalty! It's being glamorous AND having fun at the same time! "After all, why blend in when you can stand out?" VMV Hypoallergenics makes an appearance in this month's trove with her Hydra Balance Gentle Cream Cleanser and Hydra Balance Smart Moisturizer for combination skin (Perfect for me!). The Hydra Balance Gentle Cream Cleanser 'whisks away excess oil + helps control acne with monolaurin (Derived from coconuts!) while moisturizing drier areas'. 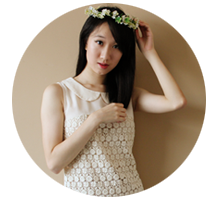 In addition, it also soothes over-treated and irritated combination skin. 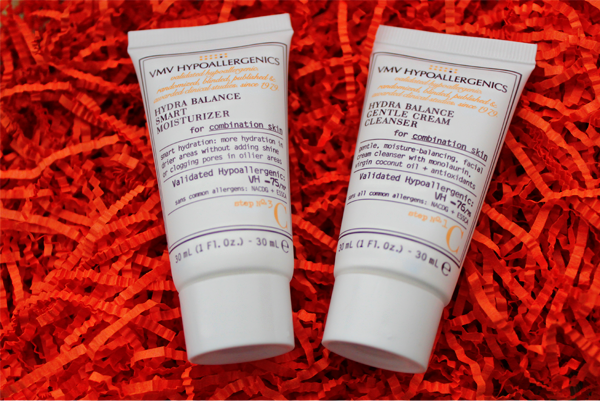 The Hydra Balance Smart Moisturizer quenches the thirst in parched areas BUT adequately hydrates oilier ones. It also contains Monolaurin to help soften and treat dry and irritated skin. Bourjois' Queen Attitude Khôl Kajal is your new secret to getting Cleopatra's mesmerizing eyes! This pocket-sized eyeliner takes you from zero to glam with its content of high pigments, natural wax and a formula that is soft and intense! I'm a little concerned with how it will fare in the lasting and no-smudge departments but we will see! 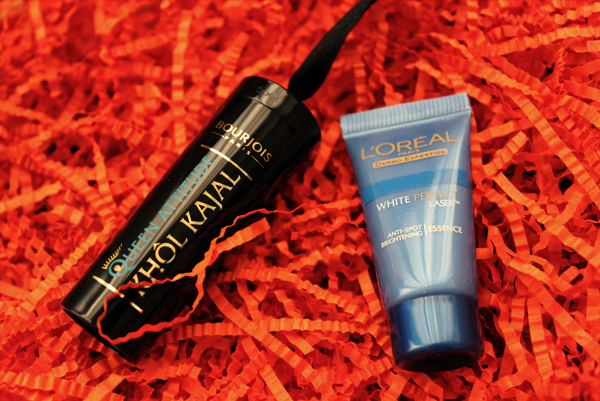 L'Oreal Paris's White Perfect Laser Essence is a serum that is to be applied before your moisturizer. It cancels out your existing spot with its active ingredient, Ellagic Acid. 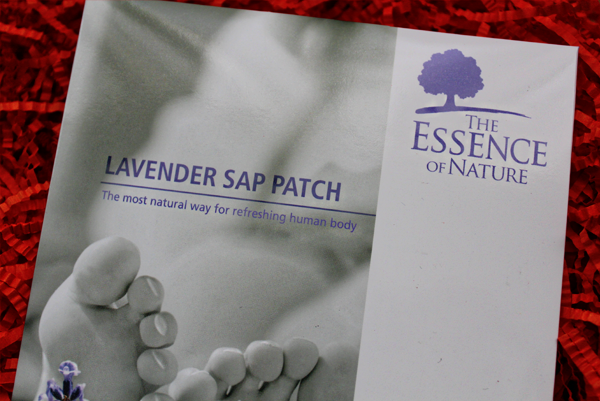 The Essence of Nature's Lavender Sap Patch is the most natural way that we can employ to refresh our body. Brought in from Korea, these patches zap away waste materials from our body and helps to relieve minor aches, boost energy and improves our immune system, blood circulation and quality of sleep. I have seen similar products before and quite frankly, I was really skeptical. But somewhere in mid June, I have a chance to try these patches for 7 days. While the change wasn't drastic, to my surprise, I did find that I woke up feeling lighter and more refreshed! 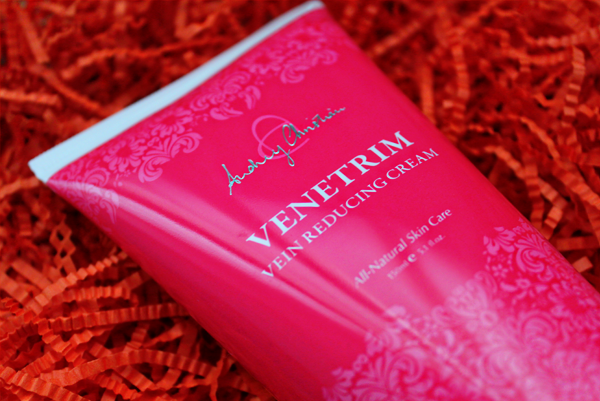 Audrey Christian's Venetrim - Vein Reducing Cream is a cooling gel that helps keep spider veins at bay and brings relief to swollen, tired and painful legs. I was hoping to get the Push Up - Breast, Neck and Tummy Cream (Hehe!) but oh wells, this is a lot more useful to me. I'm usually in flats and I walk A LOT. So often, I'm left with aching legs at the end of the day. I know I'm in my early 20's but I'm really afraid of getting spider veins! Fingers crossed that this will make Blake Lively's legs a possibility for me (Okay, like maybe get 50% of her legs?!?)! As mentioned a gazillion times, I love Bioré's makeup removers, be it gel, oil or water-based. 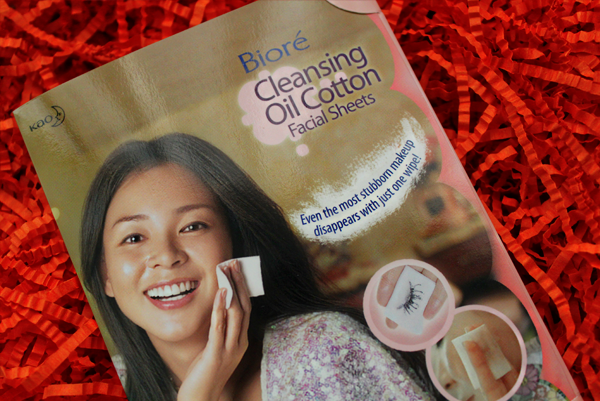 In this month's trove, her Cleansing Oil Cotton Facial Sheets are being featured! I have previously reviewed them here! This comes real handy when you are in a rush and just want to remove basic makeup fast (and furious. Haha.). Little tugging is involved and they are just so beautifully convenient and practical! Beside the above, my trove also contained samples of DHC's famous Cleansing Oil (Over 30, 000 bottles sold monthly in Japan! ), Mild Soap (Birthed from a concoction of Olive Virgin Oil and Honey. ), Mild Lotion (Suits all skin types with its formula of vitamins and plant extracts.) and Olive Virgin Oil (Place just one drop of this on your pimple's head and it will help draw out the contaminated oil! ).